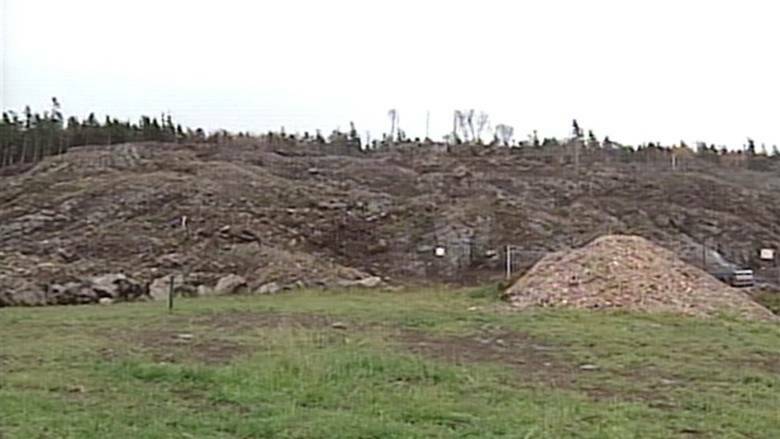 In 2007, the Nova Scotia and federal governments nixed a proposal by Bilcon, an American company that wanted to develop a 152-hectare basalt quarry, processing facility and marine terminal at Digby Neck. A joint environmental assessment panel ruled at the time that the initiative would have a significant adverse effect on surrounding communities. In response, Bilcon filed a NAFTA challenge under Chapter 11, alleging Canada’s environmental regulatory regime had been applied unfairly, and in 2015 the NAFTA tribunal ruled in Bilcon’s favour. Bilcon, which had already invested effort and money in the quarry proposal, could seek damages from Canada well in excess of US$300 million. Fast forward to Wednesday: The federal government lost a Federal Court bid to overturn the ruling on the basis that the NAFTA tribunal inappropriately decided questions of Canadian law. Amir Attaran is a law professor and lawyer at the University of Ottawa’s Ecojustice Clinic — he assisted in the representation of East Coast Environmental Law and the Sierra Club Canada, both of whom appeared as interveners in the Federal Court legal proceedings. Speaking with The Chronicle Herald, Attaran said he’s concerned about the precedent the case sets. “It’s very rare. It actually hasn’t happened ever yet until now, that an environmental assessment has been challenged in a NAFTA tribunal, and it sets a terrible precedent where not only can a company seek to bypass Canadian environmental law, but if Canadian environmental law gives it an answer it doesn’t like, then without even bothering to challenge it in Canadian court it can get a judgment from a NAFTA tribunal that entitles it to, in this case, they’re asking for over half a billion dollars,” Attaran said. While the particulars of this case are novel, it’s far from the first time Canada has been sued via NAFTA’s Chapter 11 investor-state protection laws — the section that enabled Bilcon to go after Canada in the first place. Back in January, the Canadian Centre for Policy Alternatives estimated that Canadian losses — a combination of awards, settlements and legal fees — through the investor-state dispute settlement system amounted to more than $314 million since the trade treaty was enacted in 1994. In fact, Canada’s record is so bad, Attaran said he’s baffled why Ottawa is so adamant in keeping those sections in place in as it goes through renegotiations with the U.S. and Mexico. “The U.S. has never once in the decades of NAFTA, not even one time, lost an investor protection case. Their win record is 100 per cent, but they’re the ones who want to get rid of it,” he said. Sara Seck, associate professor of law at Dalhousie University, said while she cannot see a situation where companies use Chapter 11 to arbitrarily propose projects in order to cash out in later lawsuits, she did say she’s concerned about the message Bilcon sent when, in seeking a judicial review of the environmental assessment, it bypassed domestic Canadian processes and went straight to the NAFTA tribunal. “We want anybody, Canadian and foreign investors, to actually use our systems as opposed to jumping to an international tribunal composed of members that don’t actually have expertise on the environmental and social issues that are at play,” she said. The case also raised concerns about environmental jurisdiction, Seck said, and questions about whether companies ought to engage directly with communities. “When officials speak out in favour of a project before an environmental assessment is conducted, they may be in violation of NAFTA if they later take the advice of an independent environmental assessment that concludes the project should not be permitted to proceed because of its negative impact on local communities,” she said. East Coast Environmental Law’s executive director Lisa Mitchell said while the best way to prevent these sorts of scenarios from happening in the future is to get rid of those investor-state protection provisions in NAFTA or any other trade agreements that Canada entered into, a proposed federal law that’s coming down the pipes could help. If passed, Bill C-69 would put in place new environmental impact assessment regulations that allow for more defined opportunities for what’s called strategic or regional environmental impact assessment — essentially giving provinces or communities a formal process to set prior ground rules on the kinds of activities and projects they want or don’t want in a particular region. “These strategic assessments or regional assessments can look more at a broader policy level to maybe prevent projects like this from ever being proposed,” Mitchell said. The Chronicle Herald reached out to Foreign Affairs Minister Chrystia Freeland’s office for comment on the concerns surrounding NAFTA negotiations and investor protection, but a spokesperson responded only that Global Affairs Canada is aware of the Federal Court decision and is reviewing it.